I am an outgoing author, based in Southend but happy to travel. My stories, ideal for KS2, are funny, quirky capers, about ordinary children who form extraordinary plans to achieve their goal. The workshops, talks and school visits that I run are fun, engaging, interactive sessions that will appeal to both boys and girls. 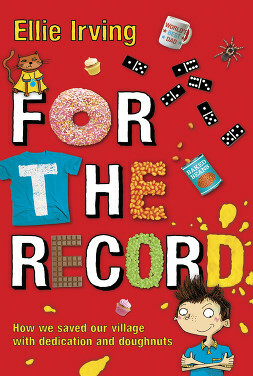 For the Record, my first book, being all about Guinness World Records, goes down well with boys in particular. The Matilda Effect is particularly good for inspiring girls and STEM, and teachers have used this story as a springboard to talk about inventions, creativity and the Nobel prizes. I talk about the challenges of being a writer, the books that inspired me, where ideas come from, how to create interesting characters, how to introduce conflict into stories, and also engage pupils in writing exercises to get the creativity flowing. I have experience of running workshops with groups small and large, and am happy to give talks in libraries, festivals, schools, assemblies, and, on one occasion, a packed-to-capacity 500-seater lecture theatre. 'Often downright hilarious and with moments of genuine pathos, this is a real class read.' The Book Zone. 'It is both hilarious and moving and has emotional issues that children can relate to.' The Guardian. 'If you want a comic book that will have you giggling from start to finish, this is it - and the feel-good factor lasts.' Parents in Touch. When Luke's village is under threat of development, he embarks upon a crazy plan to save it - by getting all the villagers to break World Records! Billie's Dad is a soldier, away fighting for Queen and Country. 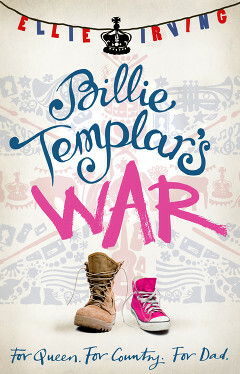 When one of his regiment is seriously injured, Billie hatches a daring plan to bring her Dad home. 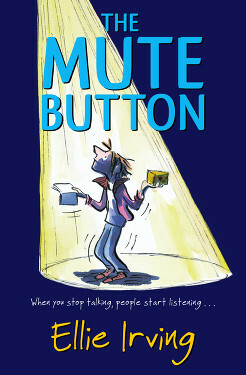 Anthony Button loves his family, but their noise drives him crazy. So Ant starts a silent protest to try to get everyone's attention. But now he's pressed the mute button, will he ever find his voice again? 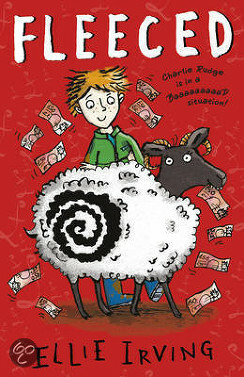 When Charlie Rudge discovers a rare and valuable sheep on his farm, a comic caper ensues to stop everyone from trying to steal it!